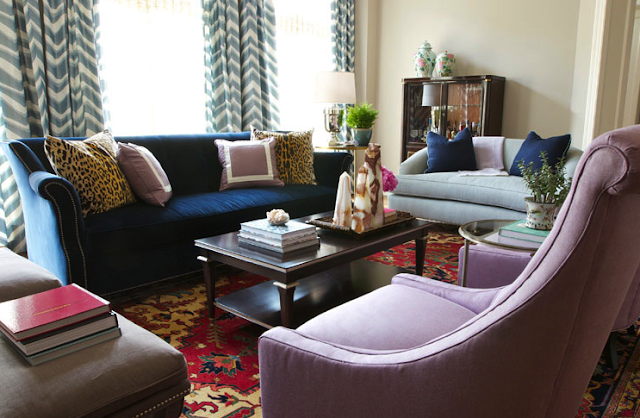 This week's fabulous room is a feminine living space designed by Summer Thornton. Summer created a warm, beautifully layered space featuring several bold colors and patterns that work together rather harmoniously. The bright Persian rug could easily command all of the attention in the room, but Summer made sure that all of the other pieces in the room created a balance overall look. Isn't this a fun room? Have a fabulous weekend! P.S. J. Crew is having a big sale right now. Get 25% off purchases of $150+ with code "FALLSTYLE". I know what I'll be doing this weekend! 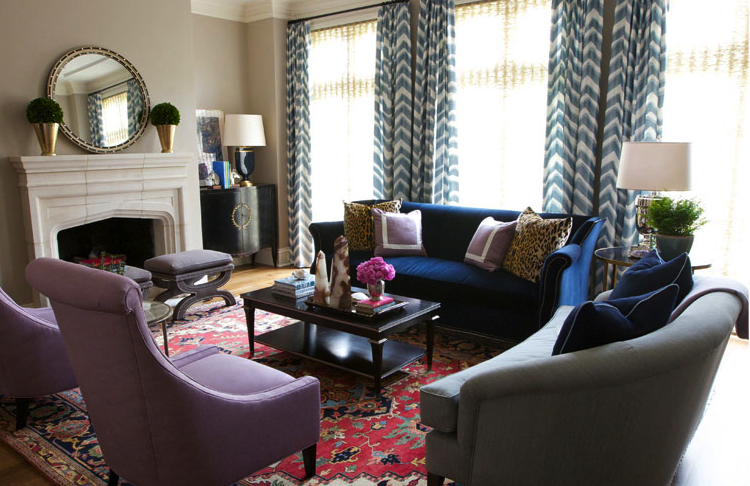 The blue sofa and animal print pillows remind me of my living room! I just did a room with a similar Oriental rug. 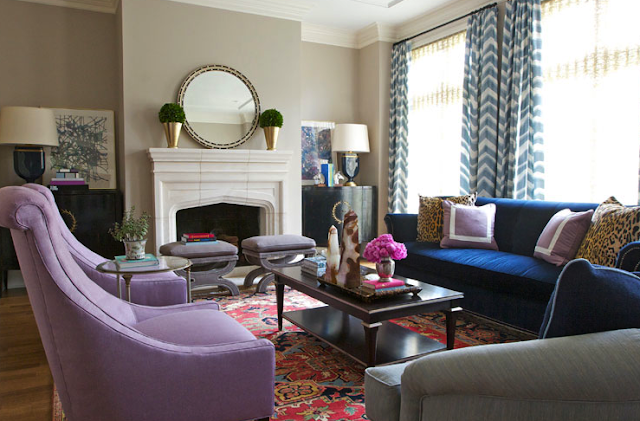 I love the unexpected pop of purple in here!